Fahd Al-Rasheed is the Group CEO of Emaar Economic City (EEC), a publicly listed company leading the development of one of the largest private sector projects in the world, King Abdullah Economic City (KAEC). KAEC is being developed as a world-class city on the Red Sea in the Kingdom of Saudi Arabia, with a capacity to host a population of two million people and a planned investment of over USD 100 billion. Under Al-Rasheed’s leadership, EEC developed the first private mega container port in the region and attracted more than 100 leading global and regional companies to establish their manufacturing presence, making KAEC a global logistics and manufacturing hub. Prior to joining EEC, Al-Rasheed held the post of CFO and Deputy Governor of the Saudi Arabian General Investment Authority (SAGIA). 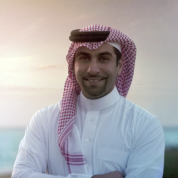 Previous to his work in SAGIA, Al-Rasheed worked for Saudi Aramco’s Finance Division where he led strategic initiatives in investments and corporate finance. Al-Rasheed holds a bachelor’s degree in Business Administration from Washington University in St. Louis and an MBA from the Stanford Business School.